We hear the question “SAAN TAYO KAKAIN?” almost everyday. Whether you are at the office, in school, or at the mall, people are always thinking about where to eat next. This can get tiring sometimes, especially for young professionals who don’t need that added stress in their lives. I struggle on a daily basis just thinking about what to eat at work. Sometimes, I also forget to eat because I couldn’t decide on what to get. One day, I got tired of this cycle and tried out a meal planning service. I never tried this before because I have a sensitive tummy and I’m not fond of other people making my meals. I can cook but due to time constraints, cooking everyday is not an option. Thank goodness Healthy Meals PH is here to rescue me. 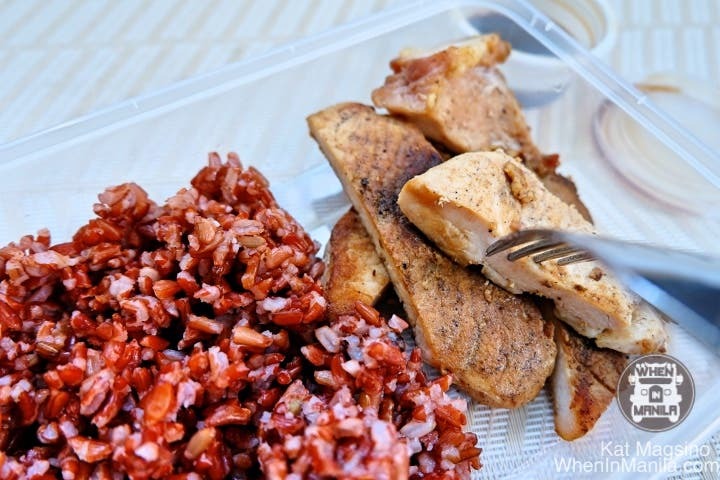 Healthy Meals PH takes care of a person’s meals for the whole day. They will deliver it before you wake up, so all you have to do is grab your meals and go. Even if no one is around to open the door for the delivery guy, he will make sure your meals get to you. Case in point: I wake up at around 7AM and I live alone. The delivery guy usually arrives at 4AM or so and just hangs my meals on my doorknob. He then texts me that my order is already there. The first time he delivered my meals, he told me that he didn’t knock because he didn’t want to disturb my sleep. Super nice and efficient, right? I tried out their 1,200 calorie program and it usually comes with balanced meals with just the right amount of carbs, lean protein, and veggies. Since starting their meal plan, I can confidently say that my everyday problem is solved. No more food choice overthinking. Also, their meal plans start at only Php400 per day, making budgeting easier and less hassle. Why Can't We Just Let People Enjoy Things?